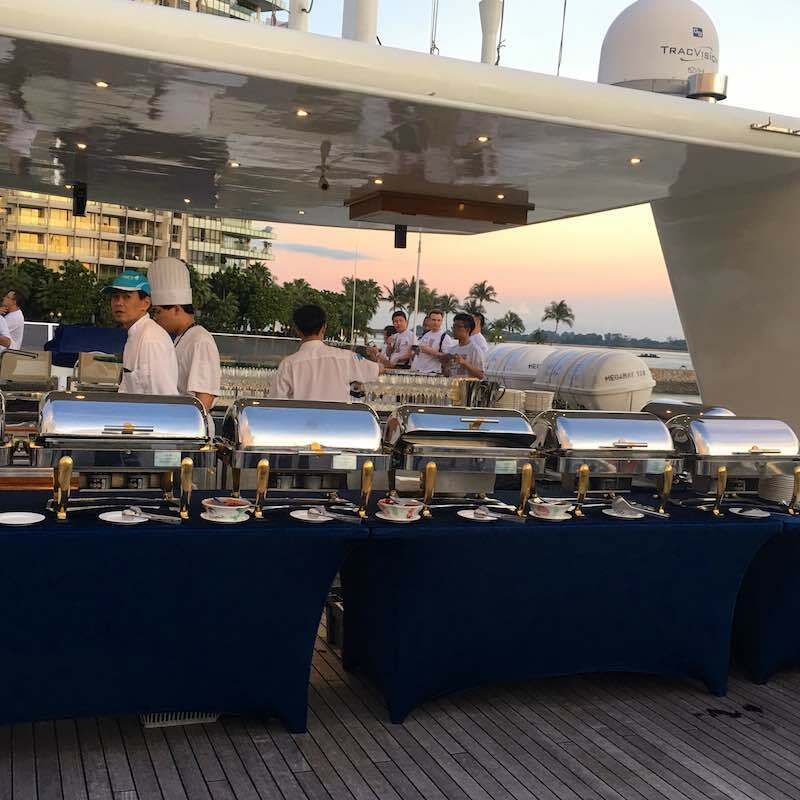 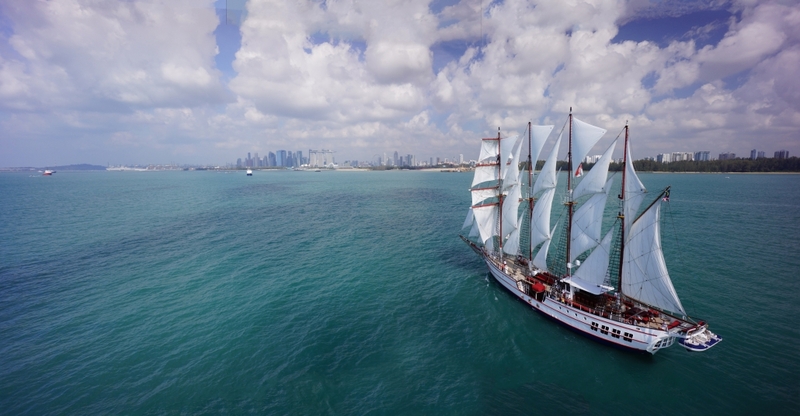 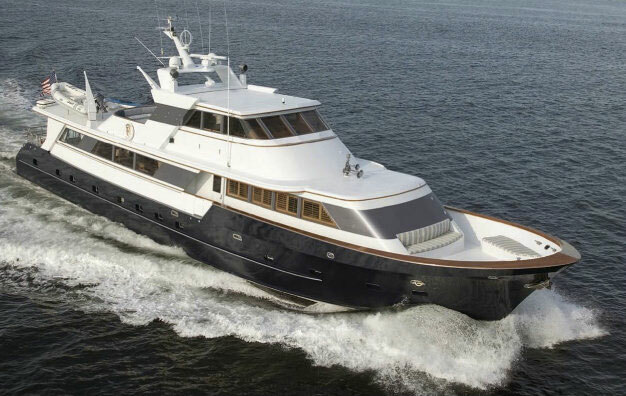 We selected several boats to accommodate various corporate event types. 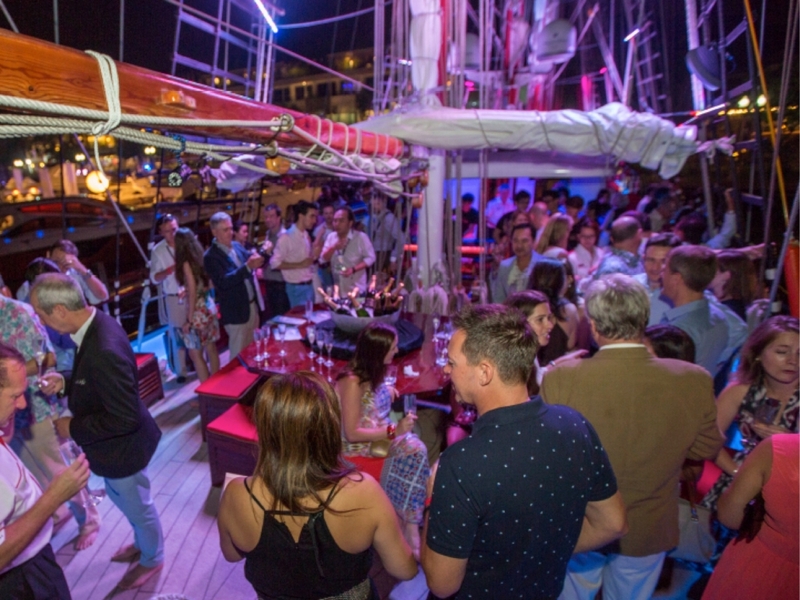 The range of boats available encompass Super Yacht, Tall Ship, Catamarans, Luxury yachts , Motorboats, Sailing boats, … of different sizes, up to +200 guests for dockside parties. 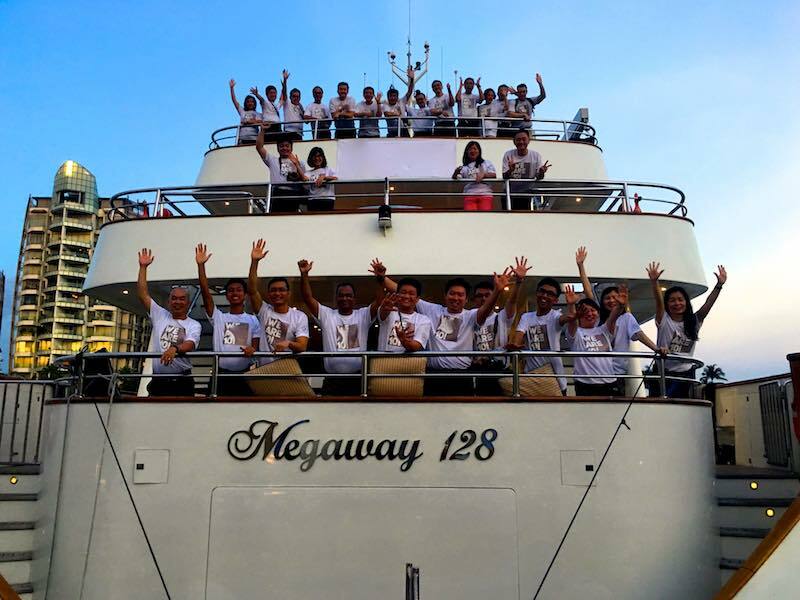 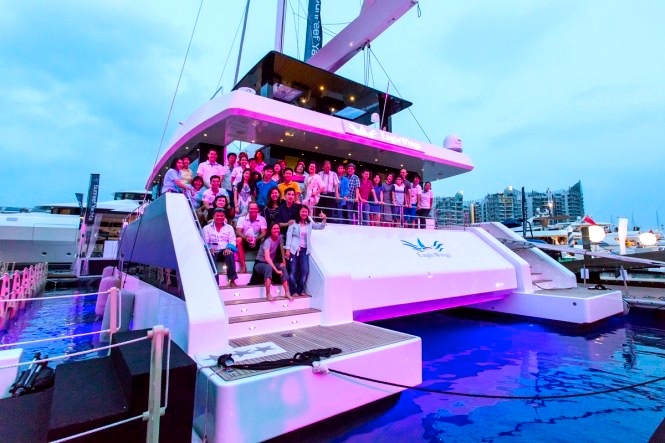 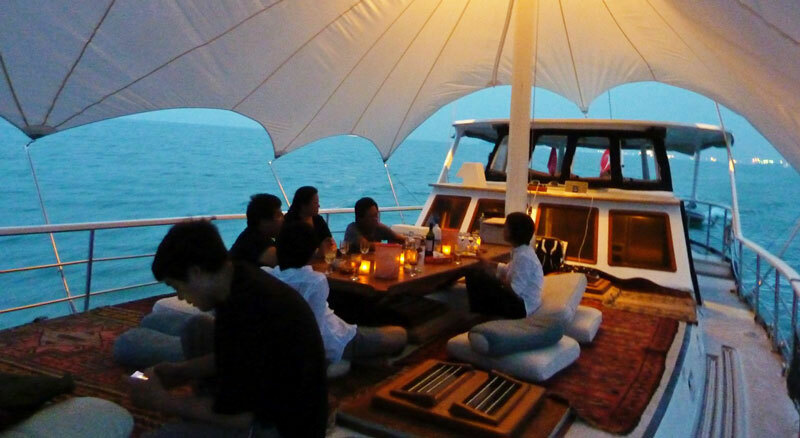 Corporate event at Sea are always memorable, spectacular, relaxing. 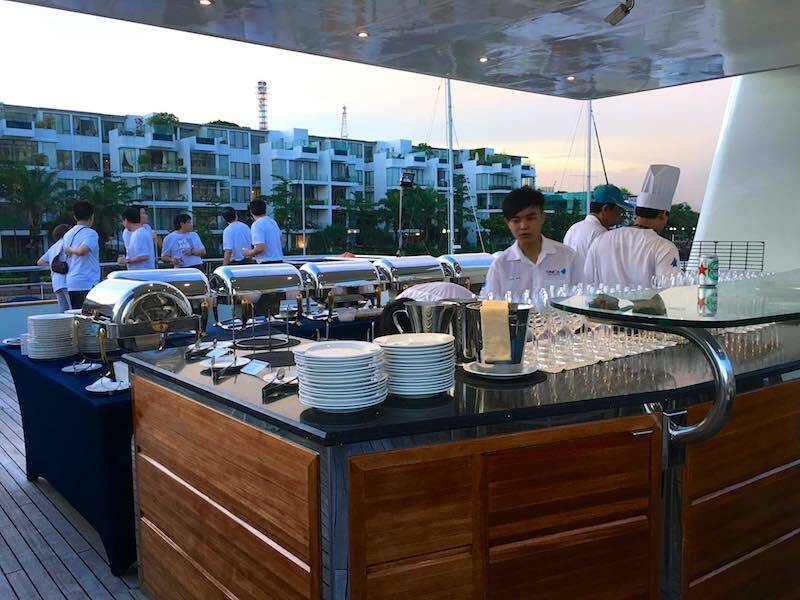 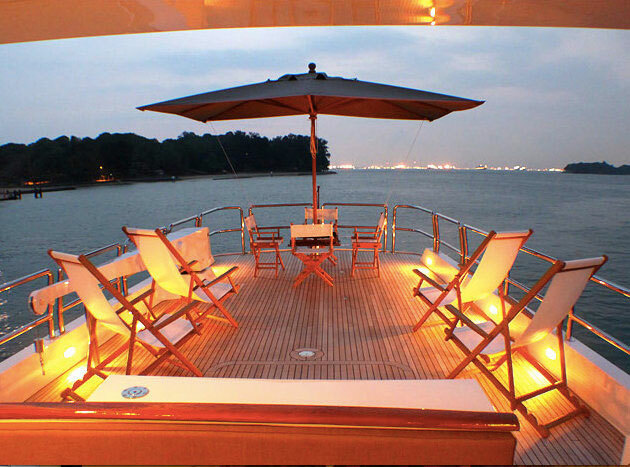 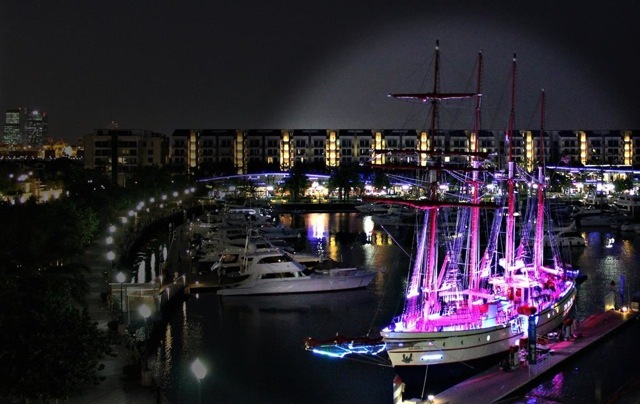 The events can take place at the Marina (Sentosa,…) or at the secluded southern islands, located 20 minutes away. 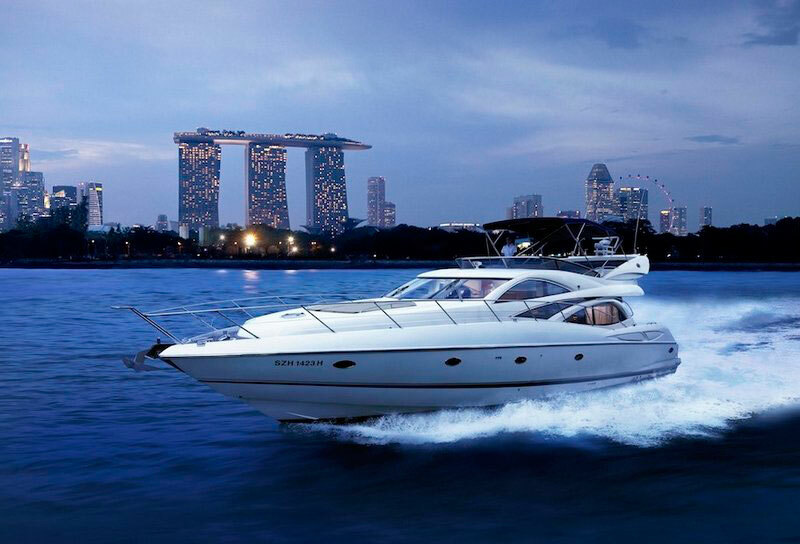 When sailing, our clients like to enjoy the beautiful skyline of the Singapore Business District and Marina Bay, a stunning sight at night that will stay in your guest memory forever. 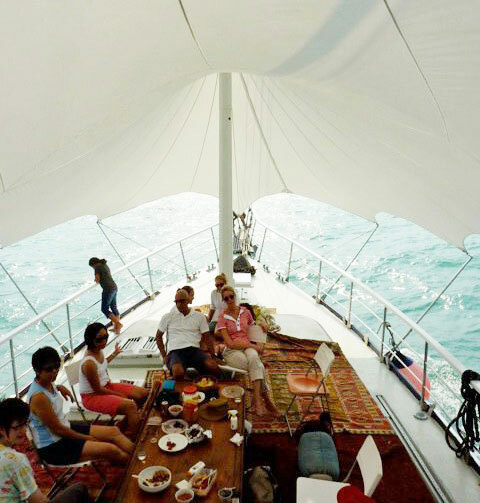 The secluded bay of Lazarus island provide a fantastic location to anchor and enjoy a completely different atmosphere, more relaxing, nature oriented and unexpected.